Dark red Lava Rock Beads--Lave rock is a type of igneous rock formed during volcanic eruptions. Naturally formed voids and irregular surfaces are characteristic of the stone making each lava rock bead unique and can add great texture to jewelry designs. 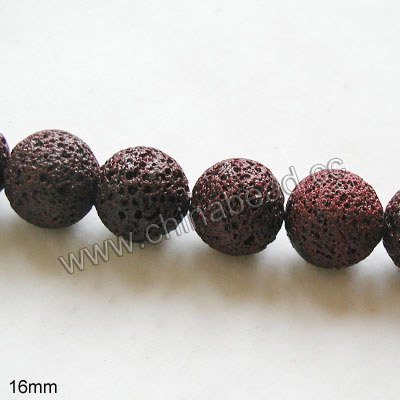 Various sizes are available to choose from for our dark red lava rock beads. Add these unique beads for your jewelry creations. NOTE: Our Min. order is for each color each size. China beads accept OEM/special orders. Contact us now!